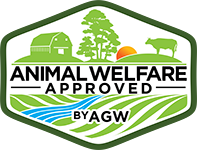 Richard and Nancy Self raise Certified Animal Welfare Approved by A Greener World (AGW) sheep outdoors on pasture at Tamarack Farms in Roseneath, Ontario. The farm consists of 370 acres that Nancy and Richard use to raise sheep outdoors on pasture, as well as to grow hay to feed the sheep, make maple syrup and grow heirloom vegetables. “We always wanted to raise livestock and grow produce in a way that we would want for our own food,” Nancy says. The 75 breeding ewes at Tamarack Farms are managed outdoors on pasture and moved regularly to fresh ground to give the sheep access to the most nutritious grazing, preventing the buildup of pests and diseases and ensuring the land remains healthy and productive. 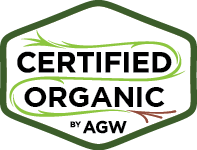 Certified Animal Welfare Approved by AGW pasture-raised lamb from Tamarack Farms is available at several Toronto-based butcher shops and restaurants, including Oliffe, Cumbraes and Butchers of Distinction, as well as Primal Cuts store in Peterborough. 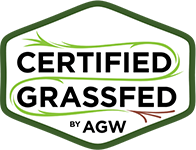 For more information about Tamarack Farms—and where to purchase their Certified Animal Welfare Approved by AGW pasture-raised lamb—visit A Greener World’s online directory. 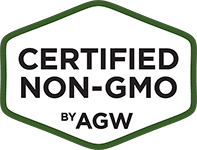 To contact Tamarack Farms, email Nancy Self at naself@gmail.com or call 778-839-4711.